1. Never, ever give up. 2. You’re never too old to chase your dreams. 3. It looks like a solitary sport, but it’s a Team. In Find a Way, Diana engages us with a unique, passionate story of this heroic adventure and the extraordinary life experiences that have served to carve her unwavering spirit. 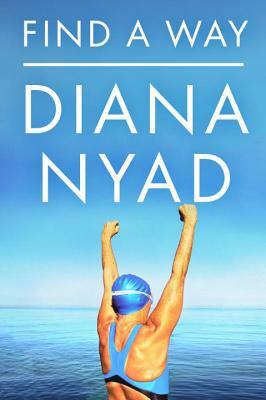 Diana was a world champion in her twenties, setting the record for swimming around Manhattan Island, along with other ocean-swim achievements, all of which rendered her a star at the time. Back then, she made the first attempt at the Mount Everest of swims, the Cuba Swim, but after forty-two hours and seventy-nine miles she was blown desperately off course. Her dream unfulfilled, she didn’t swim another stroke for three decades. Why, at sixty-four, was she able to achieve what she could not at thirty? How did her dramatic failures push her to success? What inner resources did Diana draw on during her long days and nights of training, and how did the power of the human spirit trump both the limitations of the body and the forces of nature across this vast, dangerous wilderness? This is the gripping story of an athlete, of a hero, of a bold mind. This is a galvanizing meditation on facing fears, engaging in our lives full throttle, and living each day with no regrets. For her maverick open-water performance of the 1970s, Diana Nyad was known as the world’s greatest long-distance swimmer. For the next thirty years, Nyad was a prominent sports broadcaster and journalist, filing compelling stories for National Public Radio, ABC’s Wide World of Sports, and others. She is a national fitness icon, has written three other books, is a talented linguist, and is one of today’s most powerful and engaging public speakers.